Video begins at the 5:54 mark and is only a few seconds long, but it’s neat to see. In the background you can see the GB bridge crossing over the tracks. There was a second deck girder bridge to the left which extended the crossing. 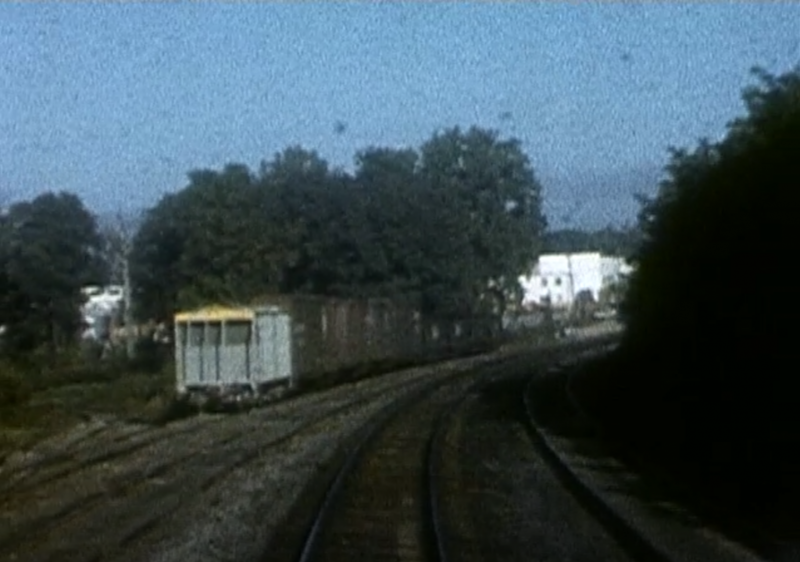 I was alerted to this film over on Archive.org by an alert viewer who pointed out to me that at the very beginning of this home movie from October 6, 1958 there is a twenty-second view of Georgetown Junction from the rear window of a passenger train! Now, videos of the Georgetown Branch are exceedingly rare, so this is particularly special! The train is moving relatively slowly as it rounds the curve past the team track yards at the Junction. You see cars parked on the sidings, and as it proceeds further you see B&O hoppers, some box cars and a ubiquitous covered hopper. Then a view down the Georgetown Branch appears and the Talbot Ave bridge appears overhead. Nice! The shot closes shortly thereafter. It’s only twenty seconds long, but for me, it’s all gold. Anyone who conducts research for building model railroads will tell you how important the details are. The colors of ballast, the amount of scrub brush and grass that has grown up along the right of way, the height of trees, the discoloration on the ties, the placement of switches and track alignment, buildings and signs… all of those things inspire and help to fill in the scene. Since photos & videos are uncommon, it really is special to see an actual film of the area. There is a legend of the NRHS having a film of the 1958 fan trip down the GB but I have not been able to locate it yet. The folks over there didn’t have a record of it. I will keep hoping! Medium view of the rescue work conducted in the aftermath of the sinking of the naphtha launch boat “Recreation” in which ten individuals drowned. Another image I found on DCDIG. 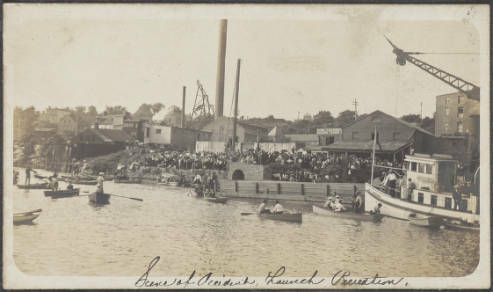 From a story in the Washington Post, there was a large, popular regatta in Georgetown out on the Potomac and a pleasure boat sank, with ten drowning victims. The helpless crowd that gathered was large and there were photographers covering the race who also managed to photograph the scene of the tragedy. I just stumbled on this image over at DCDIG which shows the flooding in Georgetown on Mar 19, 1936. The Georgetown Branch ran from the right side to the bottom, through the arch of the old Aqueduct bridge and toward the photographer. If you look carefully you can see the old cast iron DUAL telltales in the foreground! They span the right of way and warned brakemen of the approaching arch. Remember, brakemen rode the roofs of cars back in the older days. The Potomac Boat Club boathouse survives to this day, as does the arch of the Aqueduct bridge. 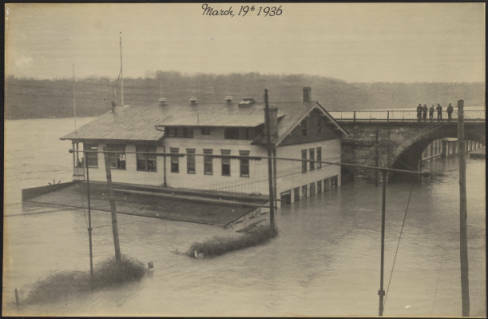 Mar 19, 1936: Flood of the Potomac River on Water Street covering much of the Potomac Boat Club boathouse. Five individuals stand atop the Aqueduct Bridge looking down at the floodwaters. An interesting story covering the history of aqueducts in and around Washington, DC. 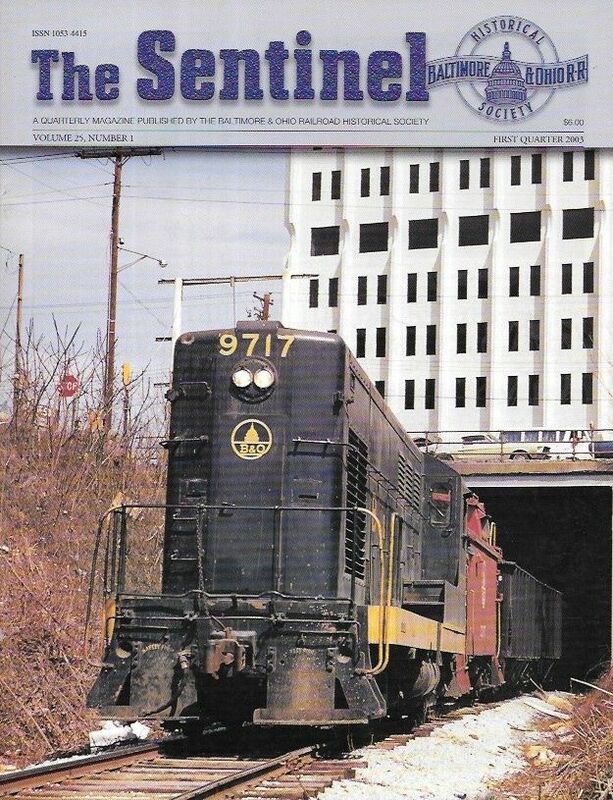 Anyone know where that tunnel image is from? (http://collections.si.edu/search/detail/edanmdm:nmah_1840608)As many of you know, the Georgetown Branch of the B&O served the Dalecarlia Reservoir which was fed by the Washington Aqueduct. I just found out about this neat documentary covering the history of the Talbot Avenue bridge which crossed the B&O’s Metropolitan Branch at Georgetown Junction. If the preview doesn’t work, click the link below. The Bridge from Jay Mallin on Vimeo. The small historic village of Lyttonsville laid right at the spot where the Georgetown Branch broke away from the Metropolitan Branch of the B&O. The line was built around 1892 to serve the new power plant at Connecticut Ave in Chevy Chase. The Lyttonsville property was purchased some time around 1850 and has a rich history. Lytton was in his sixties when the Metropolitan Southern Railroad division of the Baltimore and Ohio Railroad Company began planning to construct a freight rail line from the railroad’s Metropolitan Branch, which in the 1880s had linked northwest Washington to West Virginia. The railroad had to acquire right of way along the length of the new line and its 1827 charter gave it two ways to acquire it: direct negotiation with property owners along the route or through condemnation proceedings against recalcitrant owners with whom they couldn’t come to terms.